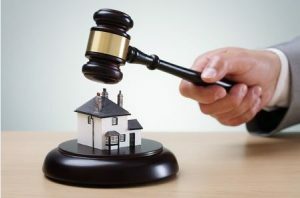 If You're Tired of the Home Buying Process, Consider Real Estate Auctions | Wilson Auction & Realty Co, Ltd.
Are you sick of the home buying process? It can be long and arduous and complicated and annoying and… have you considered an alternative? What about a real estate auction? Wilson Auction and Realty Company does real estate auctions, and just like stuff (cars, boats, jewelry, paintings) can be auctioned, so can homes and properties. If and when a house is for sale the traditional way (sign out front, realtor has open houses, price is set, etc.) it’s usually among dozens of others for sale in the exact same way in that area. When a house is up for auction, though, that sets it apart from others. It draws special attention. Oftentimes, top properties get auctioned, and people will gather from near and far to see who gets the winning bid to acquire a unique property for a decent price. Homes “on the market” tend to be for sale for many months before anyone seriously decides to buy them, whereas homes at auctions set a specific date and time for when the place will be sold. This creates a sense of urgency. Furthermore, homes sold at auction may or may not be a really good bargain– they often sell for less than what traditional buyers pay for traditionally sold houses. The process is quicker. The prices are often a “better deal.” It’s a novel and efficient way to do a real estate transaction, especially in the digital age. Wilson Auction and Realty Co. offers properties for sale in Ohio, Michigan and Indiana. Want to know about upcoming auctions? Please call the Bryan, Ohio, office at 419-636-5500 or use our online contact form.